The little building blocks which go into cakes, breads, cookies, cream puffs and flaky pies, the staples from a baker's pantry. I must confess, I bake purely for the fun of it, the science behind it is something I try (hard) to learn just enough to get by. There isn't much of science here, just some bits and pieces from a no-geek, self taught, still-learning home-baker. Here is some info for the new baker about what is what, compiled from various baking books and sites. Also included is info about local sources and brands. As the list is way too big for one post, I have made this into two. Lets go in alphabetical order. Most images are from the internet. Almond meal : Very finely ground almonds (image below), not commonly available in India, these are used in macaroons, cakes and cookies. You could make your own almond meal but as the nuts release oil when ground, its a great deal of effort to get even a small quantity of not-so-finely ground almonds. For recipes where you need to use blanched ground almonds, you need to blanch, peel, dry, grind almonds, sift it. You are better off asking someone to get this for you. However, if I am using ground almonds in a dark colored bake like Queen Of Sheba or Almond Brownies, I do not bother blanching and peeling them. Just put the almonds in a plastic bag, bash to pieces with a rolling pin and grind in very short spurts with part of the sugar in the recipe. Use the smallest jar of your blender. Baking powder : The common chemical leavening agent, i.e, the thing which causes your bakes to rise, get lightness and volume. It is made of baking soda, acids like cream of tartar and sodium aluminum sulphate and edible starch. The baking powder we get here is mostly double acting (mentioned on the box), that is, it reacts twice. Once when it comes in contact with the liquids (like milk, buttermilk, eggs, yogurt) when the batter is mixed and then again when the batter is placed in the heat of the oven. When baking powder comes in contact with liquids and again when its subjected to the oven heat, carbon-di-oxide is produced, which further expands in the heat, causing the batter to rise. Always remember to sift the baking powder with the flour (unless otherwise specified in the recipe) for even mixing. Add just the specified amount of baking powder, adding too much will make your bake bitter, your cake to rise too much and then fall. Make sure your box comes with a recent manufacturing date and is well closed after use. Its important to protect the baking powder from humidity, so store in a cool, dry place. Also buy a small box unless you are a professional baker. Replace your box 6 months after you open it. To test the effectiveness of baking powder, mix 1 teaspoon baking powder with 1/2 cup (120 ml) hot water . The mixture should bubble immediately. If it does not, discard and get a fresh pack. I use Weikfield most of the times. 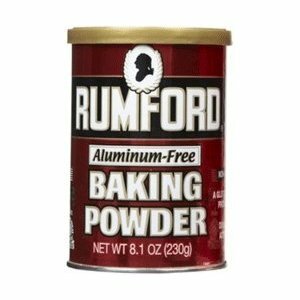 If you come across aluminum free baking powder (like Rumford), grab it! Its supposed to help avoid the metallic taste you sometimes experience in some quick breads and also enhance the flavor of your bakes. Baking soda : This is bi carbonate of soda or sodium bi carbonate also called as cooking soda here. It gets leavening power with the help of acids in the recipe, adds tenderness and color to baked goods. Its used in recipes containing acidic ingredients like yogurt, natural cocoa (not Dutch process), citrus juices, buttermilk, chocolate, honey etc. It reacts immediately after its moistened when you mix the batter, releasing carbon di oxide. So you must use the batter immediately once mixed. Baking soda has an indefinite shelf life if stored in a sealed container and stored in a cool place. To test the effectiveness of baking soda, mix 1/4 teaspoon baking soda with 2 teaspoons vinegar, the mixture should bubble immediately. If it does not, discard and get a fresh pack. I use the small sachets we get as cooking soda in the supermarket. Butter : When recipes call for butter, its usually the unsalted kind. Use freshly packed butter, make sure its not smelly. I normally buy 200 gram packs of Nandini unsalted butter available at super markets and milk booths. I store it in the refrigerator and keep the needed quantity of butter at room temperature (after cutting it into cubes) for about 1/2 hour to one hour to soften it when a recipe calls for butter at room temperature. Butter should be slightly cool to the touch and just pliable and not gooey or oily when it reaches room temperature. You could soften butter in the microwave, but a few seconds too much and you have melted butter! Buttermilk: This is thick buttermilk which can be made by mixing 2 parts of yogurt/ curd with one part water and whisked till homogenous. Or add 2 teaspoons vinegar (white/distilled) to 120 ml/ half cup milk at room temperature and let stand undisturbed for 10 minutes. It will curdle, will remain thick. Whisk with and fork and use the needed quantity. 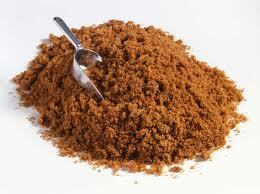 Brown sugar (picture above) : This sugar adds a slight butterscotch flavor and moisture to baked goods. Brown sugar could be light or dark brown sugar, depending on the amount of molasses added to the sugar, changing the taste slightly. Not to be confused with demerara sugar (which is also a kind of brown sugar but coarse and large grained) good quality brown sugar dissolves quickly, is fine grained and moist. Which is why recipes specify this ingredient in packed measures as in 1 packed cup. Premium quality brown sugar (like Waitrose) is quite expensive (and nice too!) .You could also make your own if you can lay your hands on molasses (very expensive stuff again, at Godrej Nature's Basket). You could mostly swap brown sugar for granulated white sugar, but there would be a slight variation in the color, texture and taste of the end product. Granulated sugar : This is the regular sugar we use. I mostly use powdered sugar of the same weight as the sugar we get here doesn't dissolve quickly. Confectioner's sugar :Used in making meringues and icings. This is finely ground sugar to which some amount of cornstarch has been added to prevent clumping. You could substitute this with finely ground sugar made at home. Sift before measuring as it clumps. Caster Sugar : Super fine granulated white sugar which dissolves quickly, relatively expensive. You could use powdered sugar in its place, but IMHO creaming is better when you use caster sugar. I use super fine sugar I get at Spar, its very reasonably priced and works well for me. 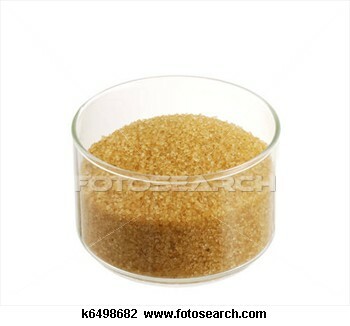 Demerara sugar : Coarse, large grained golden colored granulated sugar above. If you ask for brown sugar at your local super market, you will mostly be handed a pack of this. I like to use this only as a crunchy topping and never in a cake or cookie batter. It takes you forever to dissolve it, the results are not great. Clarified butter: This is ghee we normally stock in most Indian homes. Chocolate: The path to chocolate heaven is paved with this! Chocolate can be dark, white or milk. The better the quality of chocolate, the better the taste of the end product. I have baked with only compound chocolate so far, I like the brand Morde. So far and I have had no real complaints with the taste. Couverture is chocolate with a high percentage of cocoa butter (32-39%) and has more sheen and flavor when tempered. You can order this online from Delicious Now. Thanks to a dear friend, I must gloat that I now have some couverture chocolate with me (picture me rubbing my hands in glee!) and I just can't wait to use it! Chocolatier and author Alice Medrich says, when chocolate is melted and used in cookies and brownies the cacao percentage is really important for the right texture and moistness. But when you are using them as chips or chunks in the batter, you can use chocolate with any percentage of cacao. 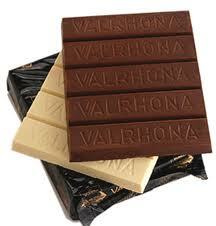 Cacao percentage is the total of cocoa solids, cocoa butter, chocolate liquor in the chocolate. Meaning chocolate with higher cacao percentage, will be darker and have a more assertive, more intense chocolate flavor, less sugar and less milk solids, hence less sweet. She says success rates are higher when the chocolate with the specified cacao percentage mentioned in the recipe is used. If a recipe calls for unsweetened chocolate and you use dark chocolate with same amount of sugar, your cake will be sweeter. If you must substitute dark for bitter, try adding some instant coffee to temper the sweetness instead of reducing the sugar. You may still find it on the sweeter side. Cocoa : This unsweetened powder made from cacao beans is not be confused with drinking chocolate. 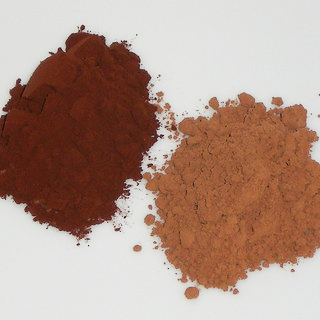 What we mostly get here in India is natural cocoa (on the right) as opposed to Dutch processed cocoa (on the left). Natural cocoa is acidic. Dutch process cocoa is Dutched or alkalized to reduce its acidity, looks reddish brown in color, is less bitter. As it is not acidic, it must be used in recipes which have baking powder. 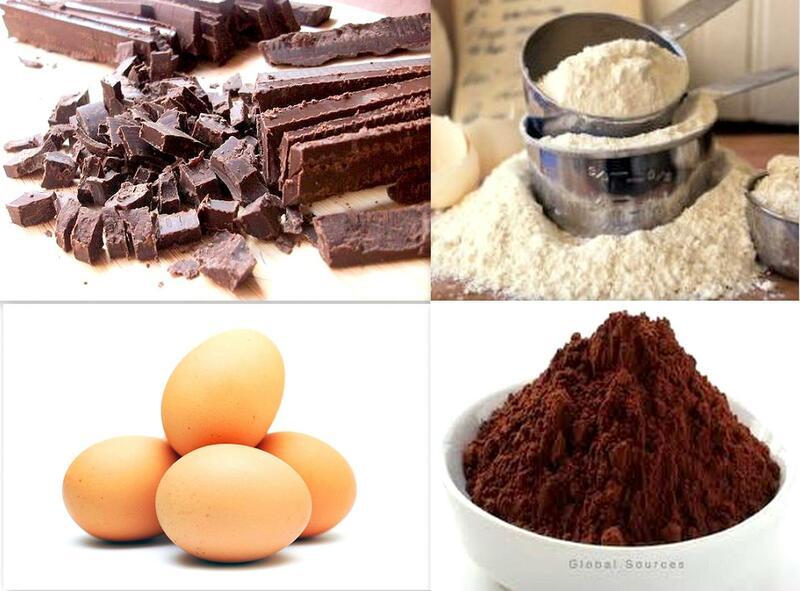 It can however be used in recipes if they have other acidic ingredients to help the cocoa react and help leavening. You can't use these interchangeably unless a) you know what you are doing b) the recipes specifies either kind is OK. I use Nilgiris brand of cocoa available at Nilgiris outlets here. Remember to sift cocoa before measuring as it tends to be lumpy. Cornflour : Also called as cornstarch. This is used in baking for making cake flour and also becomes a substitute for eggs (when used for binding purposes only) when mixed with warm water. Cream of tartar : Since Potassium hydrogen tartrate and Potassium bitartrate sound not very friendly to me, I shall stick to the name cream of tartar. Don't be fooled, this doesn't look or taste even very remotely like cream, this is actually white powder like substance. Its a by-product of wine-making and also a component of baking powder. This can be found in the aisles of your supermarket with the rest of boring sounding ingredients like MSG, CMC, gelatine etc. This is a wonderful ingredient to have on hand for whipping egg whites. When added in the right quantity to egg whites, its virtually impossible to over beat them. Cheese - Mascarpone, ricotta, mozzarella, cream cheese, cottage cheese, quark - just a few varieties of cheese which can up the taste factor exponentially. Some as toppings and some as fillings and some in the batter itself. With the exception of cottage cheese and mozzarella, the rest of the clan sold in supermarkets is very expensive. Cottage cheese is our very desi paneer which we are all familiar with. I made my own mascarpone and was happy with the results. It can be used in ice creams or folded into some whipped cream and used as a filling to make amazing cakes. 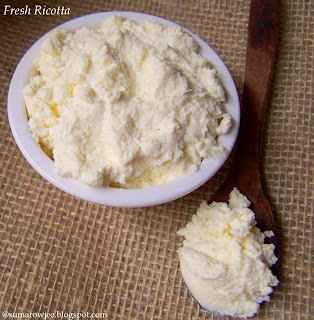 Ricotta is the creamy dreamy cousin of cottage cheese, I made this too and loved it! This is used in cakes, in calzones, puddings, desserts etc. I like to use Amul mozzarella for my pizza.Though freshly made, churned paneer / churned paneer and yogurt is used as a substitute for cream cheese, I am still on the look-out for a satisfactory substitute. Quark again is on the list to try. 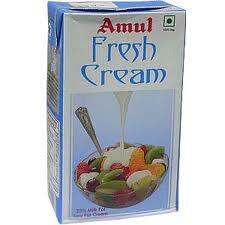 Cream : When recipes call for heavy cream or cream, I like to use Amul fresh cream which has 25% butterfat. Good heavy cream is not commonly available in India. Heavy cream has 33-36% butterfat and when used in baking, it gives more tenderness in your bakes, makes your mascarpone more luxurious, your ice creams more creamy. Having said that, though some local brands available in the supermarket claim to have more butterfat, I would prefer the quality and consistency of Amul. I normally do not use cream from top of the milk for my baking or desserts. I stock 200 ml tetra-packs of Amul. You could whip this but its a challenge specially when its hot. 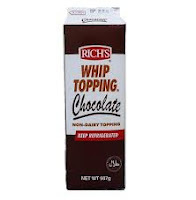 Whipping cream: This is meant for use as a topping for cakes and desserts, is mostly sweetened. Its liquid and is stored frozen. When whipped, it easily becomes airy and light. I get mine from IBCA (Merry whip or Gold Top, Rich's is good too but difficult to get a kg pack nearby), a kilo lasts a long time! I normally open the pack, divide the contents among 2-3 freezer safe containers and return to the freezer immediately, store it for about 3 months (hoping and praying there aren't any historical, long power-cuts). I simply thaw the needed quantity in the fridge overnight and use. Since its sweetened, this may not be ideal when you mix more sweet stuff into the cream. Maybe Amul for that? Half and half : Is half milk and half cream. We do not get anything labelled as half and half here, so I just use half whole milk and half Amul cream for recipes which call for half and half. Sour cream: Unless using it for making pastry like quick puff pastry and the kind (the fat really matters here) You could easily substitute this with yogurt. Coconut - dessicated / shredded / flaked : A common staple in most South Indian homes. Make super easy macaroons or tuiles or use them in cookies and cakes. Dessicated coconut is also called as coconut powder here. Some supermarkets and baking stores stock these. 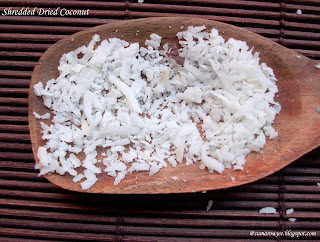 When a recipe calls for shredded coconut, I use grated copra. Check for these again at our baking stores or peel your own copra (ouch!!) and grate it. Store it in the fridge or freezer as it turn smelly pretty fast. Eggs : I have a couple of hens at home which supply me with eggs on a daily basis...you got to believe me ;) Though, hubby keeps telling me it may not be a bad idea considering I buy eggs too often. I weigh eggs and use as there is no packing based on size or weight. One large egg is 48 grams without shell, one large yolk is 18 grams and one egg white is 30 grams. 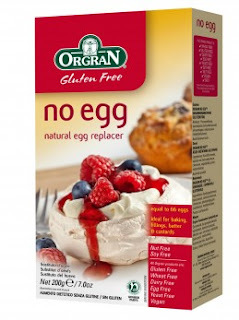 Egg Replacer: Good news for those who do not want to use eggs in baking! A natural egg replacer made with potato starch and other ingredients, its supposed to work well in place of eggs...but may not be a great idea for bakes such as chiffon cakes or flourless cakes. Available here at MK Retail and Godrej Nature's Basket as Orgran No Egg. At Rs. 310 to replace 66 eggs, a reasonable product to buy. Soon to be tried! Essence/extract: Essence is mostly synthetic. Extracts and oils are natural. I used to use synthetic vanilla essence (still do in an emergency) but have now switched to real vanilla extract. Extracts and oils give better flavor and aroma to your bakes and desserts, so once you spoil yourself with these, you will look down upon the synthetic ones. Be wary of cheap imitations specially ones like pistachio, coconut and fruity ones likes mango and strawberry. Nilgiris, Brigade Road has some good brands (Black White, La Belle Vie) of essences like pista, coffee, strawberry. 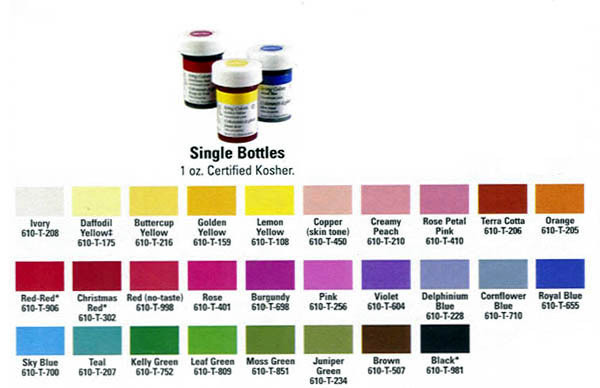 Food color: A drop or a streak of this in your cake batter or piping gel or creamy desserts to play with colors. Or to dress up and paint your Christmas cookies. I like to use gel color from Wilton, a small pack goes a long way. You could get some liquid colors of Black White brand at Nilgiris, Brigade Road and IBCA too. But Wilton is the best for all the colors and shades. Use a fresh toothpick to take out a tiny bit of color, dip the toothpick in your batter and swirl. Use a fresh toothpick for more color. Stay away from the powder colors locally available. Can see you stifling a yawn, promise we reach the end of the boring but necessary post soon! Flour : The very basic ingredient in almost all bakes. Flour normally refers to All Purpose Flour or maida. Use freshly packed flour, sieve it with other dry ingredients like salt, baking powder and soda for even mixing. Cake flour : To make cake flour, measure out a cup of plain flour (scoop in the flour into the cup and level method) or 130 grams, taken out 2 tablespoons of flour, added 2 tablespoons cornflour. This makes one cup of cake flour. Sift 3-4 times. If you can find good quality cake flour where you live, do use it. Bread flour : This is also called as strong flour and is used in yeasted breads. Adding this to whole wheat breads makes the bread lighter in texture. To make bread flour at home, I add one tablespoon vital wheat gluten to every cup of All Purpose flour or whole wheat flour as Champa does. Self rising flour: Used in cakes mostly, this can be made by adding 1 1/2 teaspoons baking powder and 1/4 teaspoon salt to each cup / 130 grams of All purpose flour. I normally do not add additional baking powder and soda to the recipe again (worked fine for me in the Cappuccino Muffins and Jaffa Drizzle Loaf Cake). Packaged self rising flour is available at some stores including Nilgiris, but have never used it so far. Please note: The above information can at best be described as brief and just enough for a beginner to get acquainted. There is enough and more on all the above ingredients if you seek..please do if you wish, the sky is the limit! a very helpful post... a very basic post too!! soo informative!! Thanks for sharing the information. It is very helpful in baking.I like your blog very much. If baking is chemistry this is explained like Periodic table Suma. Thanks so much for this post. I am regular reader of your blog. Thanks for providing such useful information. I am new to baking and I thought that this post is just written for me.(lol!) Thanks a ton! Suma, this is awesome! Keep up the good work... So cocoa powders which are freely available hereabouts - like Cadbury's, Blue-bird,etc. - are all NOT the Dutch processed sort, right? very good information, thank you for sharing! A treasure, am loving this..Thanks for this wonderful post Suma. Well done indeed. I read each one and felt really happy! WTG Suma! I just bought a kg whipping cream for IBCA. I did not seperate it into different contaniers. I have kept the entire packect in the freezer. So, once I open the packect and the thaw, I can keep the remaining unwhipped part back in the freezer. 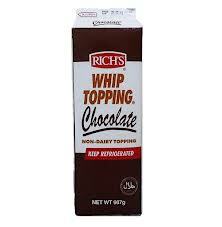 kindly help as to how I should store and thaw whipping cream. @Nischita - Thank you! You could thaw briefly and refreeze. Thaw it just long enough to help you portion out the cream. wow!never came across such an article..which is so so informative , and you have used no fancy terms or jargons..just plain simple language which actually a beginner can understand! !